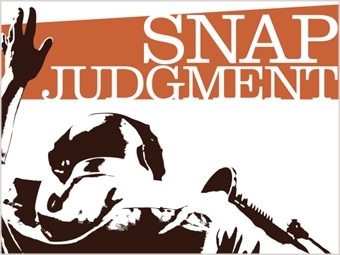 Snap Judgment; an hour of (self-proclaimed) "addictive storytelling that walks a mile in someone else’s shoes." Snap Judgment host, Glynn Washington, has a flare for the dramatic, a sharp wit, and a warm sense of humor. This week’s episode is called "51-50: Danger to Self." Snap Judgment shares stories of people who are their own worst enemy. Come along while we push through the hallways of a psychiatric ward, obsess over a late-night talk-radio host, and then run for our lives. Tune in Saturday at 4 for Snap Judgment: personal stories about turning points, decisions that define lives, and decisions that change everything.